In Part 1 of this series, I began with a simple question: How is it possible for Yoda to know about the Sith Rule of Two when the Sith have been extinct for a millennia? In answering this question, I stuck with information found in The Phantom Menace and, in the process, ran into some pretty convoluted problems. However, The Clone Wars episode “Sacrifices” provides more context about the Rule of Two. In it, Yoda travels to Moraband, ancient homeworld of the Sith, and encounters an illusion of the ancient Sith Lord, Darth Bane, the progenitor of the Rule. You can go re-watch the scene HERE. In Part 2, then, I used the information from the Yoda-Bane encounter to, again, address our initial question. But in doing so, a new problem popped up. So, at the end of Part 2 I left readers with a choice about the way we could interpret what Bane says. On the one hand, we could take his statement as factually true, that the Sith literally killed each other, victims of their own selfish ways. Or, on the other hand, we could interpret Bane’s statement as metaphor, and argue that he is using figurative language to describe the Sith destruction, which allows us to link what Bane says with the Databank. After receiving a number of comments, it became pretty apparent that the majority of readers wanted me to play with BOTH approaches. So, that is what I have done. I pushed forward with both approaches and what follows is where I ended up with each. When Bane says to Yoda that “The Sith killed each other, victims of their own greed” he is being figurative, implying that the Sith caused their own downfall because of their incessant in-fighting. Constantly at odds, the Sith were unable to put up a united front against the Jedi Order which was easily able to defeat the dis-unified Dark Lords. Or, put in simpler terms, Bane is saying that the Sith had no one to blame but themselves for their defeat. 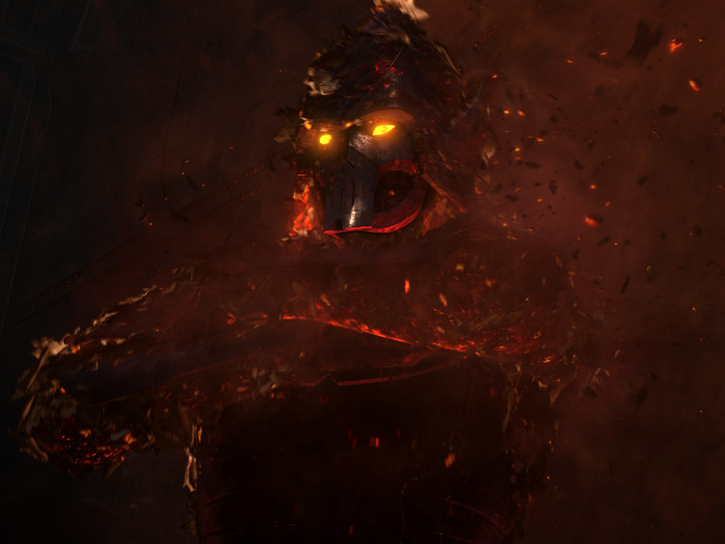 From the “ashes of destruction,” the sole survivor of the decimation, Darth Bane, changed the Sith forever. Understanding that the Sith had caused their own defeat, Bane instituted the Rule of Two. In doing so, he ensured the self-preservation of the Sith. No longer would there be thousands (or more) of Sith Lords vying for power with one another, but instead, only two would exist to vie with one another: Master and Apprentice. Alright, so far so good…but there is something else we need to deal with: Yoda is speaking to Darth Bane in the dead Sith’s tomb. Plus, there is a giant statue of Bane standing behind the sarcophagus of the entombed Dark Lord. Where did this tomb and the statue come from, and how did Bane’s body come to be interred inside the tomb? How about this: let’s say Bane’s tomb on Moraband was built PRIOR the Sith destruction. Certainly, as a Dark Lord, Bane would be allowed to have his final resting place constructed before he died, like the Pharaohs of ancient Egypt, along with a magnificent statue built to stand guard over his sarcophagus. Hold up, after killing Bane and taking the mantle of Dark Lord for him/herself, Bane’s Apprentice-turned-Master placed Bane’s body in its finally resting place on Moraband. It was the least s/he could do for the final survivor of the “old” Sith, the one who had changed the Sith forever going forward. Totally makes sense! Darth Bane dead, body interred in his tombbbbb wait, the tomb is located on Moraband, the ancient homeworld of the Sith. And the Jedi decimated the Sith, believing them to be extinct. So for this to work, after the Sith “extinction,” the Jedi had to not only believe the Sith to be fully eradicated, but ALSO had to stop paying attention to Moraband altogether. They had to be so convinced the Sith would never again be a problem EVER AGAIN that they literally just left Moraband alone. Question: Are you okay with the Jedi being THAT inept? The Sith were their mortal enemies and in the wake of the Sith defeat, the Jedi just ignore the Sith home world so completely that a Sith Lord is interred on the planet. Okay, maybe the Jedi Order IS that inept. Perhaps the Jedi were so utterly convinced that they had exterminated the Sith threat once and for all that they didn’t believe they needed to lock-down Moraband. Something about that just doesn’t feel right, but I will just roll with it for now. Hokay, Sith decimated, Bane enacts Rule, Bane killed by Apprentice, Apprentice-turned-Master inters Bane’s body on Moraband (Jedi not watching), and Yoda knows of the Rule of Two in Episode I, how? Once again, we have run into the very same issue we started with. The Metaphorical Approach allows us to line up Bane’s statement with the Star Wars Databank, but it does not provide any help answering that damn question about Yoda knowing about the Rule of Two. All it does it lead right back to it, and in doing so, also returns us to the initial problems we ran into in Part 1. Problems which, you will recall, launched us on this exploration into the tomb of Darth Bane. Basically, the Metaphorical Approach pushes us back to where we started in Part 1. Alright, no more metaphor, no more figurative speech, just pure, unadulterated truth: when Bane says the Sith killed each other, he means that they literally annihilated themselves. That would make for one hell of a movie: lots of red lightsabers, Sith lightning, Force choking, black capes, scary masks, etc. And, at the end of the final Sith showdown, literally walking through the “ashes of destruction,” Darth Bane would emerge the victor. Epic! Now, like in the Metaphorical Approach, seeing that the greed of the Sith caused their own demise, Bane took it upon himself to alter the philosophy of the Order. But instead of re-creating the Sith in the same way, which would ultimately result in the same outcome (the Sith constantly being at odds) there would only be two Dark Lords from now on: Master and Apprentice. Basically, both approaches come to the same point from different angles: Darth Bane and the Rule of Two. And what about Bane’s tomb on Moraband? Easy – same solution as before. 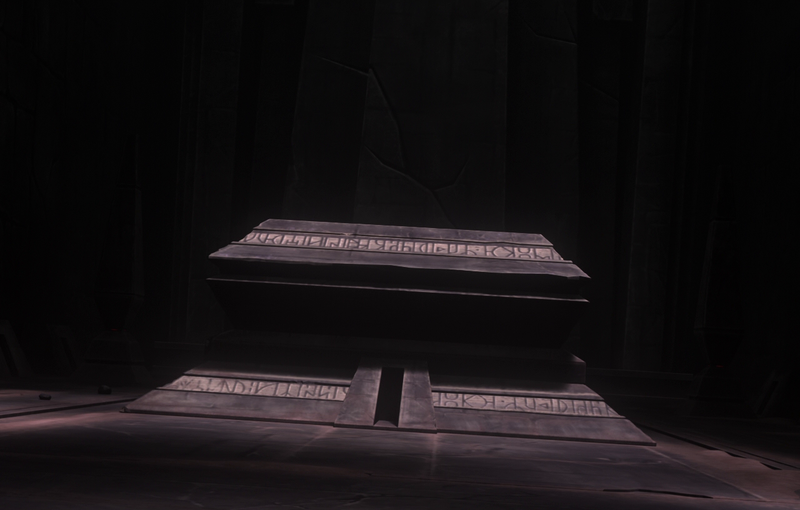 His tomb on Moraband was built BEFORE the Sith extinction, and once he was killed, his Apprentice-turned-Master interred the body in the sarcophagus. But at this point, we begin running into the same problems as before, starting with the ineptitude of the Jedi. Again, as I already noted in the Metaphorical Approach, how do we deal with the Jedi allowing a deceased Sith to be buried on Moraband? I am still not really sure how I feel about this, but like before, we will just go with it. Okay, so, Sith destroy each other, Bane survives, Bane institutes Rule of Two, Apprentice kills Bane, Apprentice-turned-Master inters Bane in pre-built tomb on Moraband (Jedi not watching), and Yoda knows about the Rule of Two, how? Just as before, the Factual Approach takes us right back to where we started. We can account for what Bane says, for his tomb, for his body being interred, but we have no way of neatly answering how Master Yoda knows about the philosophy Bane instituted. …except for one thing: What if we just stop assuming that everything happened 1,000 years ago? As I noted in Part 2, we have been working under the assumption that Bane lived 1,000 years ago, but what happens if we move his life back in time further? What I will present in the Final Part of this series is this alternate approach to the way we have been thinking, an approach that will provide an otherwise simple answer to the “How does Yoda know” question. However, it also means we will have to change how we think about ancient history in the Star Wars universe and, for some fans, particularly those who really love the Expanded Universe, this shift may not sit well with them. Part 4, THE FINALE, will be here soon. In Part 1 of this series, we began with a question which will continue to be the focus of this discussion. That question was: how is it possible for Yoda to know about the Sith Rule of Two if the Sith have been extinct for a millennia? Working with the information available in Episode I, possible answers are present, but these answers also create some rather convoluted problems that begin undercutting Star Wars lore. For the sake of brevity, I will let you go back and refresh your memory on these answers and the problems they cause. In Part 1, I purposefully chose to stick only with information from The Phantom Menace. Now, moving forward, it is necessary to add more pieces to the puzzle. To do this, we need to consider an episode of The Clone Wars. In the very last episode of The Clone Wars (Season 6, Episode 13) entitled “Sacrifices,” Yoda travels to the ancient homeworld of the Sith: Moraband. [i] This journey occurs around 13 years after the events of The Phantom Menance. Walking across the deserted wasteland of Moraband, a planet long abandoned because of countless wars, Yoda is accosted by apparitions of the ancient Sith, but these spirits do not stop his journey. Eventually, the elder Jedi makes his way to a large tomb located in a large valley. 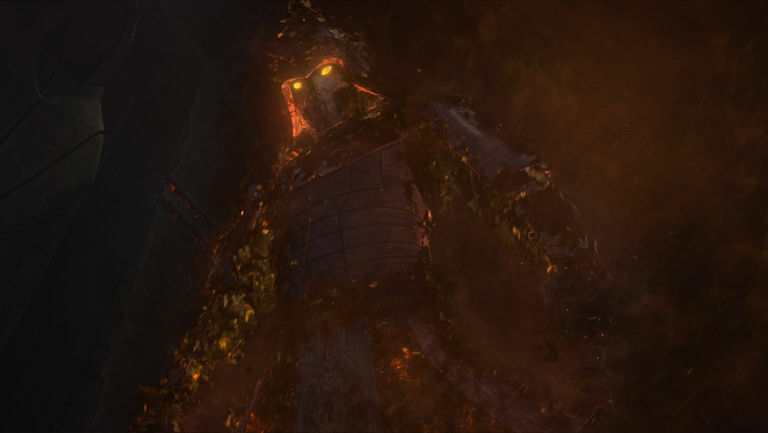 Entering the tomb, the Jedi Master is confronted by an illusion of an ancient Sith Lord, Darth Bane, who manifests from the sarcophagus inside the tomb. Darth Bane: Why do you come to my tomb, Jedi? Darth Bane: Do you know who I am? Yoda: Yes. Darth Bane, the ancient Sith Lord you are. Darth Bane: And know why I am not forgotten? Yoda: Created the rule of two, you did. From this short exchange, we can glean a lot of information, some of which we will carefully work through as it relates to our topic. In The Phantom Menace, Yoda knows about the Rule of Two, but here, we find that 1) Yoda knows he is speaking to Darth Bane and 2) Bane was the Sith Lord who instituted the Rule of Two. This is rather curious and leads to another question: when did Yoda discover that Bane was the originator of the Rule? My immediate assumption was that Yoda learned about the Rule of Two and Darth Bane in the same instance prior to The Phantom Menace. This would make sense since Bane and the Rule are intimately linked. However, this doesn’t necessarily have to be the case. Yoda could have known about the Rule prior to the events of Episode I, and then learned about Darth Bane afterwards. Moving forward, then, there is other information in this scene that needs to be addressed which comes directly from Darth Bane. What the Sith Lord presents may or may not already be known to Yoda, but we viewers are certainly unaware of it. Specifically, Darth Bane explains that “the Sith killed each other” due to their greed, and that he “was the last survivor” of the Sith destruction. Furthermore, we learn that Bane decided to pass his “knowledge onto only one [apprentice]”, and that the apprentice must kill his/her Master in order to take the mantle of Master as their own. This is a rather short statement from Bane, but we gain a lot of insight into the Sith Order from it. Is the Sith destruction Bane speaks of the same “extinction” event that Ki-Adi Mundi suggests in The Phantom Menace? As I already pointed out, the assumption we have been working under has centered on how Yoda learned about the Rule of Two AFTER the Sith “extinction.” And, as I noted in Part 1, this raises a cacophony of answers/problems. This new question, though, raises an entirely new possibility: that in describing the self-inflicted destruction of the Sith, Darth Bane is talking about an event that happened long before the Sith “extinction” to which Ki-Adi Mundi alludes. If this is the case, that we are actually discussing two separate historical events, then the examination at hand can effectively be ended. TIME OUT! I just checked the Darth Bane page on the Star Wars Databank on StarWars.com and THIS is what it says over there: “After the Sith were decimated by the Jedi Knights of a thousand years ago, Bane enacted the Sith rule of two…”[iii] But this is not what Darth Bane says to Yoda. BUT THAT IS NOT WHAT DARTH BANE SAYS TO YODA! He said that the Sith were the ones who destroyed each other, and that he instituted the Rule in the wake of their self-inflicted destruction. You know, “out of the ashes of destruction” and all. He never mentions anything about the Jedi decimating the Sith. So what in the heck is the Databank talking about? At this point, in this very moment, there is one, singular instance of Darth Bane appearing in the Star Wars canon…and we have been talking about it this entire time. There is LITERALLY no other information out in the canon, at this stage, that lends itself to what the Databank says. Soooooo we have two options to make sense of this snafu. Option one is that Bane is be speaking metaphorically about the destruction of the Sith, arguing that their downfall at the hands of the Jedi was actually the fault of the Sith Lords and their greed. In essence, the Sith were flawed, could not put up a united defense against the Jedi of old, were subsequently decimated a millennia ago, and as a result Darth Bane changed the Sith forever. On the other hand, option two is that the Databank is wrong. This is not to say that the Databank is useless as a tool for understanding Star Wars, but rather, that the Databank should align factually with what is presented in the Star Wars canon. In the case of “Sacrifices,” what Darth Bane says is clear: the Sith destroyed each other, and from the ashes of their self-inflicted destruction, he fundamentally changed the Sith forever. If the Jedi had decimated the Sith, Darth Bane would have said as much. Further, under this option, the Sith destruction could have been a millennia ago, or Bane could be describing a much more ancient event as I previously laid out. And with all of that said we are, once again, at an impasse. We began with a question concerning how Yoda knows about the Sith Rule of Two, and now we are trying to figure out if an ancient Dark Lord was speaking metaphorically or factually. OI VEY! Ultimately, the answer to HOW Bane is speaking really comes down to personal preference. Some might like the idea that he is speaking metaphorically about the downfall of the Sith, while others might see him speaking in a matter-of-fact manner about the Sith killing each other. Either way, both options, taken to their logical ends, will affect the way one thinks about a number of elements within Star Wars. So, here is what I propose: I am going to let you choose the direction we head in. Think of it as a “Choose Your Own Adventure.” All you need to do is leave a comment down below, on Facebook, or on Twitter that says “Metaphor,” “Fact,” or, if you really want to make me work, you can ask for “Both.” Also, feel free to provide some thoughts/feedback on your choice if you feel so inclined. Whichever preference wins out, that is the direction I will head in in Part 3…so, for the sake of moving things along, give me your choice in the next few days. How was it possible for Darth Bane to be buried on Moraband and who built the giant statue of Bane that stands behind his sarcophagus? I will address this in Part 3. [i] Some of you might know the planet as Korriban, the name used in the Expanded Universe (Legends). I am not going to get into a debate about the name. Call it what you want, it is the same place in my mind.